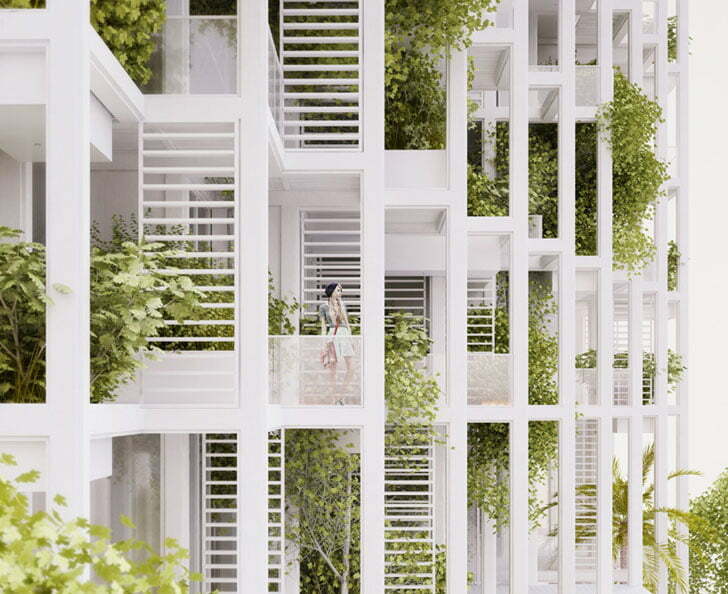 Vertical Green Tower Housing By Penda in Vijayawada, India. This is latest Indian contemporary trends of housing industries reflection by Architecture. 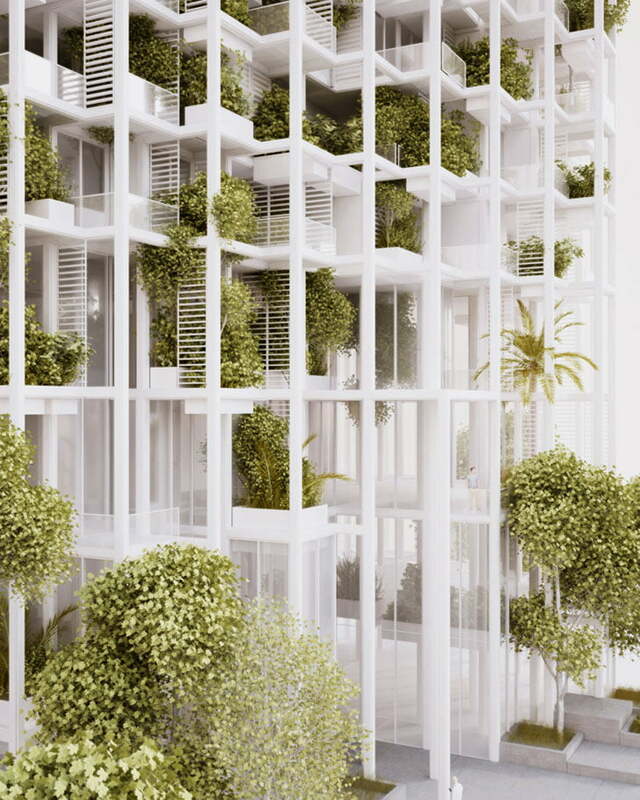 Penda has released plans for their first Vertical Green Tower Housing project in India. 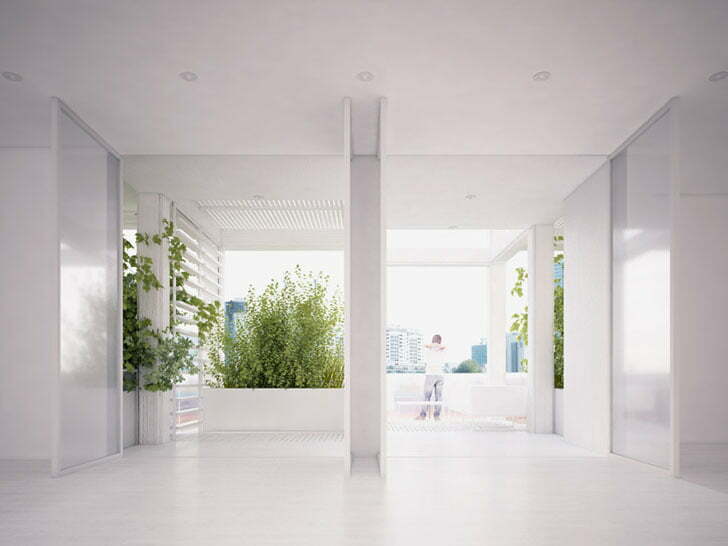 Based on a modular building system, with modular facade system, the Pooja Crafted Homes will allow residents of Vijayawada, to design their own high-rise vertical green tower housing, by selecting prefabricated modules from a catalog, that will then be inserted into the Vertical Green Tower Housing ‘s frame. 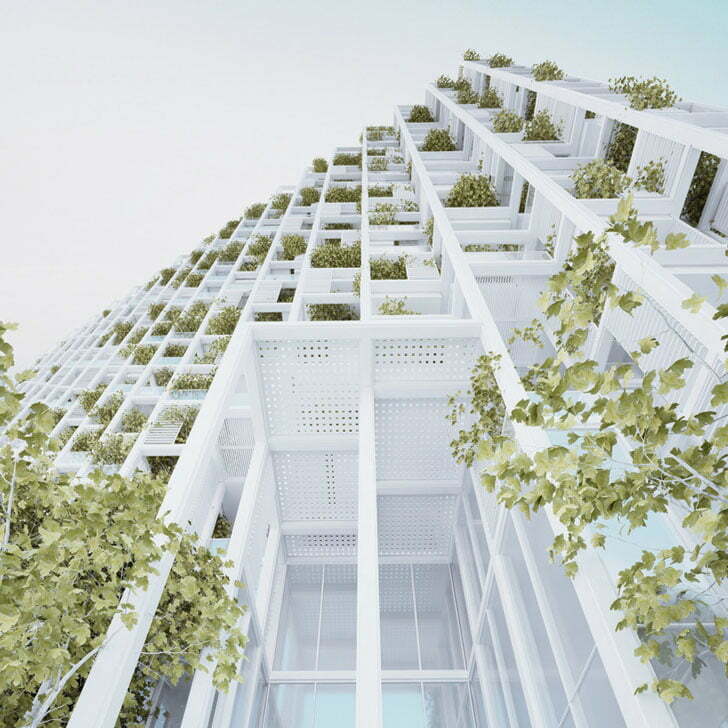 The vertical green tower housing project is due to start construction in the second quarter of 2016. Fact File Of Vertical Green Tower Housing. Design Team: Chris Precht, Dayong Sun, Xue Bai, He Quan, Pengchong Li, Frank Li, Snow Sun. Design Brief of Vijayawada Garden Tower Project. 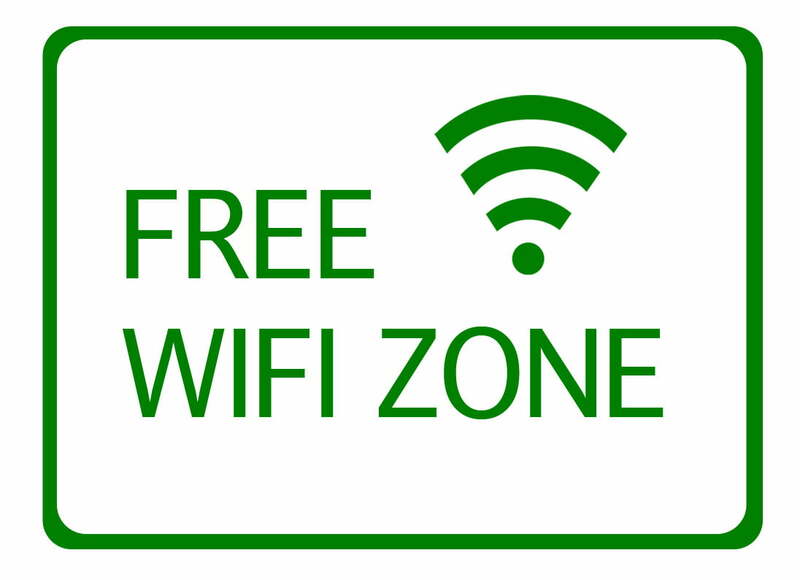 In an age of mass-production and a certain conformism in the building industry. we try to use modern construction techniques to bring back a level of individualism and flexibility. 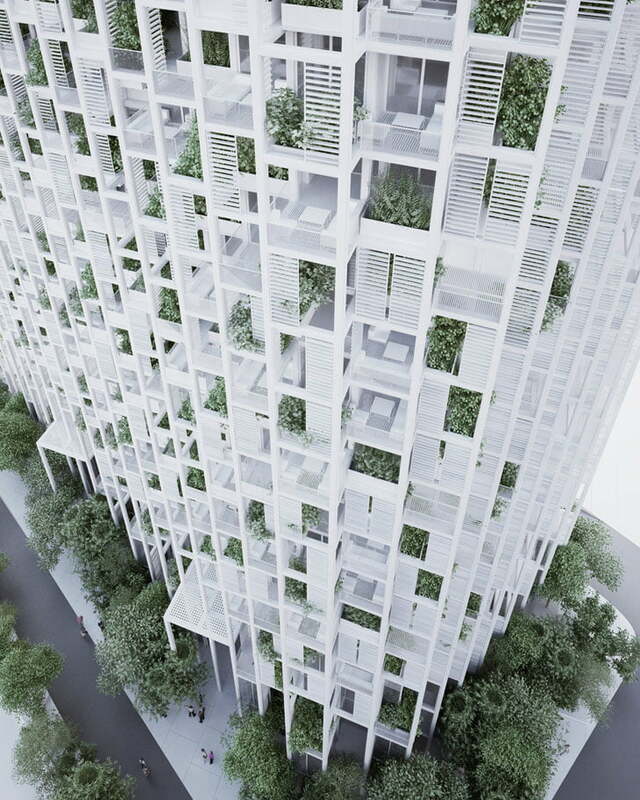 for the inhabitants of a vertical green tower housing highrise. 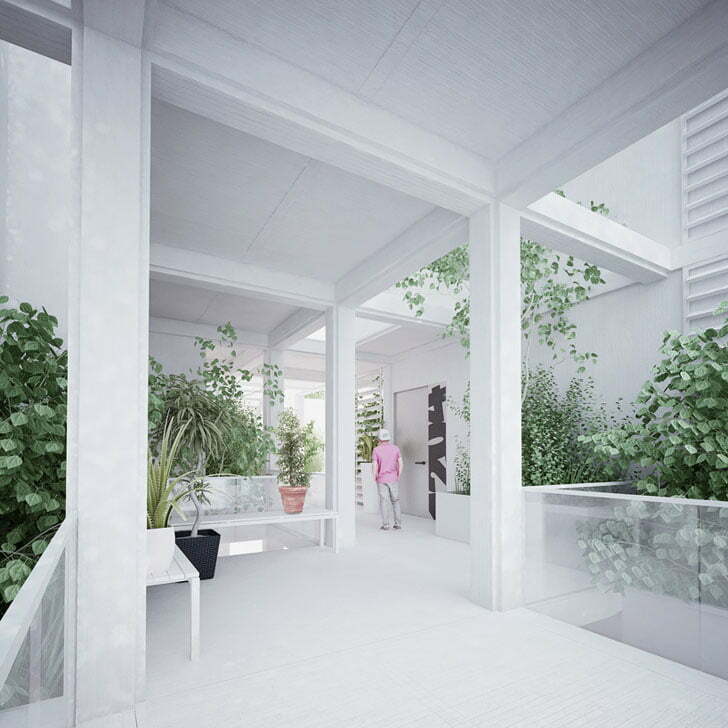 A kind of individualism one would have in building his own house,” says penda. 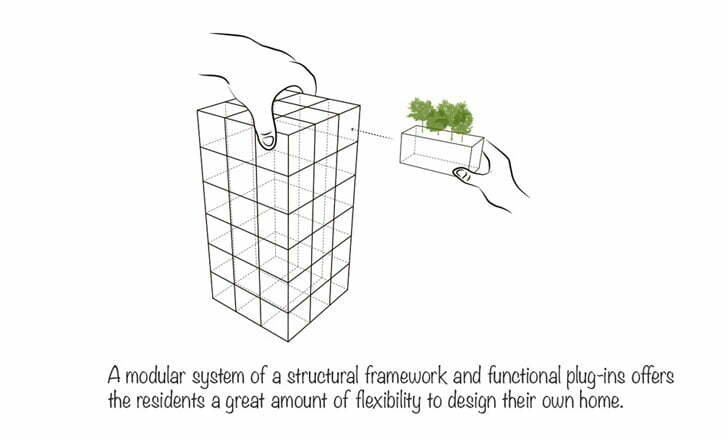 In order to introduce a strong degree of flexibility, the vertical green tower housing is divided into separate elements: the structure, walls, facade, ceiling & floors, infrastructure, balconies and plants. Referencing a modular shelving system. the structural grid and its infrastructure are the only constant elements in the building. 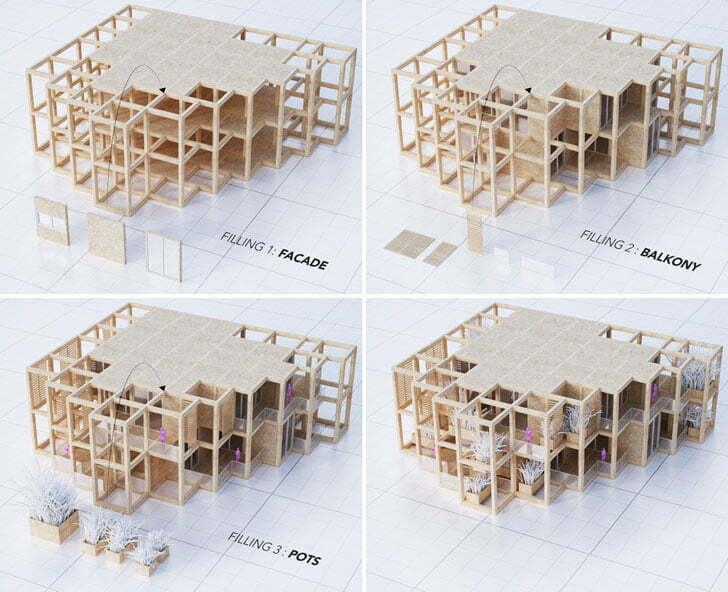 the framework can then be filled with prefabricated modules. such as handrails and plant pots, which the homeowner selects from a catalog. Each home will be uniquely customized by its occupants in away that will also allow for future modifications. A grey water supply system collects rainwater on the roof, and reuses it for watering the plants on the balconies. 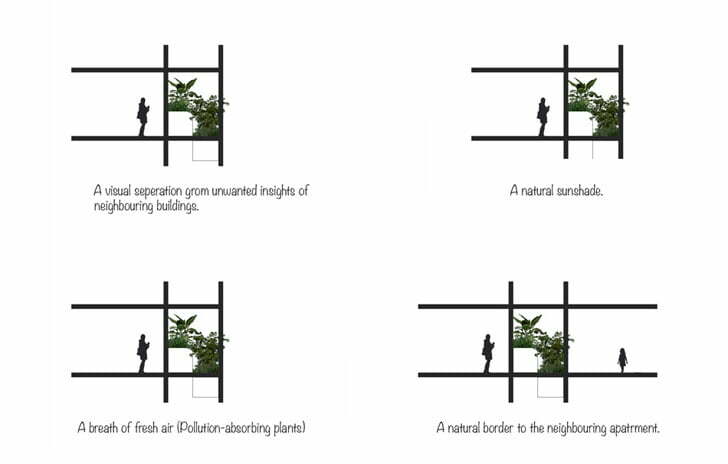 This air-purifying vegetation will use the grid on the facade as a giant trellis, slowly immersing the building in foliage. 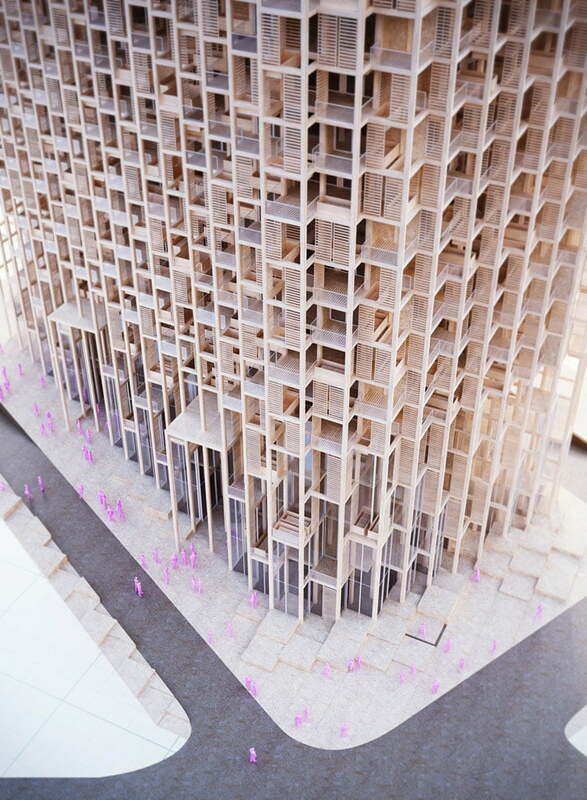 These ‘natural’ elevations also help regulate the scheme’s indoor climate, while open hallways support a constant airflow throughout the tower. 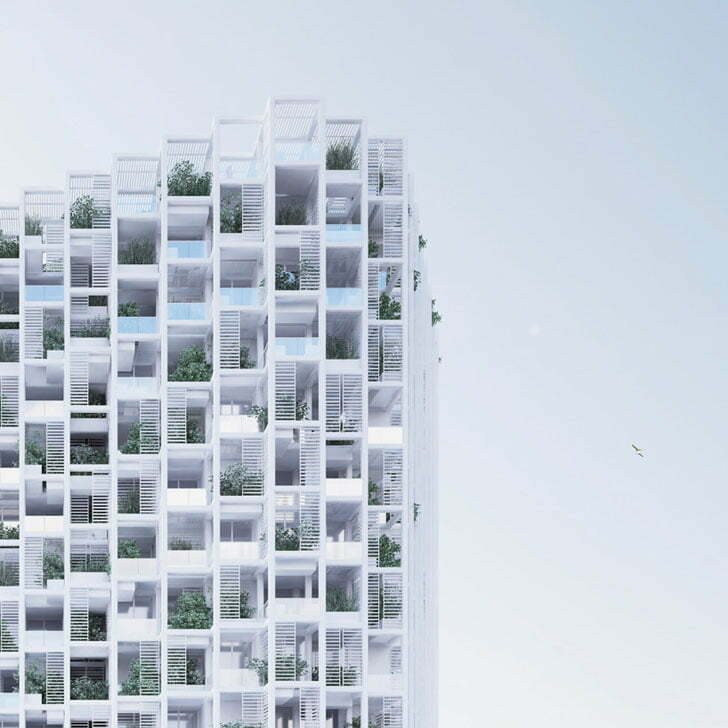 The Vertical Green Tower Housing building’s varying facades and open hallways will support constant airflow and natural ventilation for all residents. Thus the architects have referred to the project as a breathing tower. I don’t see any unconventional ‘vertical green’ structure, just isolated plants on balkonies of a highly pretentious third world’ish architectural eye-horror. Not impressing at all.